The two South Indian state of Tamil Nadu and Kerala are quite popular amidst tourists from all across the globe. Both these place boast of mesmerizing sights and sounds such as stunning temples, peaceful and lush surrounding, wonderful plains and hill towns, placed water bodies, beautiful views, architectural gems and much more. Tanjore Mararikulam tour is a well-planned trip of 16 days and 15 nights takes you to some of the best destinations of these places including Chennai, Kanchipuram, Mahabalipuram, Madurai/Chettinad, Tanjore, Mararikulam and Cochin. As you arrive in Chennai, our tour representative helps you with an assisted transfer to the hotel. At the hotel, complete the check-in formalities. If time and energy permits, you can explore this lovely city on your own. One of the most popular cosmopolitan cities of South India, Chennai is an amalgam of age-old culture and modern-day nuances. The city has something to offer to all kinds of tourists. After breakfast today, get ready for a city tour of Chennai covering its prime attractions such as San Thome Cathedral, Fort St. George and some popular city museums housing an attractive collection of sculptures, paintings and other artefacts. In the afternoon, hit the road to Mahabalipuram, also known as Mamallapura. As you reach, check into the hotel. If time and energy permits, you can explore the nearby surroundings on your own. In the morning after you have your breakfast, embark on a city tour of Mahabalipuram, including some of the prime structures of its Group of Monuments that are a part of UNESCO World Heritage site including the 7th century architectural wonders- Arjuna’s Penance (a huge open-air bas-relief monolith), Five Rathas or Panch Rathas (massive boulder hewn temples dedicated to the Pandava brothers) and Shore Temple (erected during the reign of Pallava rulers- it has statues of Lord Shiva and Lord Vishnu). Back to the hotel for dinner and overnight stay. After breakfast, you leave by road for Tanjore or Thanjavur. As you reach, get transferred to the hotel. As the day is free for leisure, you can first relax for some time and then can explore the nearby surroundings on your own. You can also visit the local market to get your hands on some wonderful souvenirs. 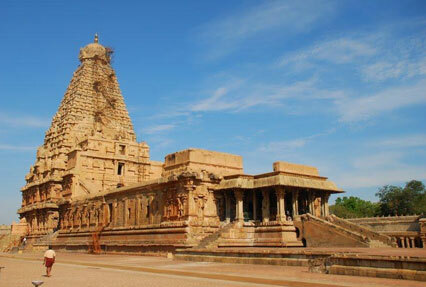 Day 5, after breakfast, is scheduled for sightseeing tour of Tanjore covering its stunning temples. Begin the temple tour of Tanjore with Brihadiswara Temple, move to Trichy that has the popular Rock Fort Temple; the Srirangam temple complex located on an island in the River Cauvery and finally Sri Ranganathaswami Temple. On this day, continue your road journey to the serene temple town of Madurai. On arrival, check into the hotel. Later, embark on a guided temple tour of Madurai including the magnificent Meenakshi Amman Temple, a beautiful Dravidian-style temple. 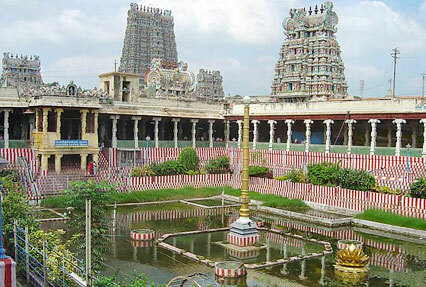 The other option on this day is to travel to Chettinad from Tanjore, located about 90 km eastwards of Madurai. On reaching, check-into a hotel. After completing the check-in formalities, savor lunch and later on visit the popular attractions such as Athangudi, Chettiar Clan Temple, Athmanathaswamy Temple and more. On the 7th day of the tour, you leave for Kodaikanal, from Madurai/Chettinad. Fondly known as the ‘Princess of Hill stations’, Kodaikanal is a beautiful and serene hill station of the south Indian state of Tamil Nadu. As you reach Kodaikanal, check-in at the hotel. Your day is now at leisure. You can visit the nearby attractions, can enjoy a leisure walk or can visit the local market. The day is scheduled for exploring this lovely place, enjoying the lovely weather and treat your eyes to the lush scenery. Some of the attractions that are worth-visiting here include Coaker's Walk (a beautiful exquisite walk enveloped by mist-clad mountains), Kodaikanal Lake or Kodai Lake (a manmade lake where tourists can enjoy boating) and Pillar Rocks (natural 400-foot-high vertical column of 3 rocks). Spend the day in exploring the stunning views from the popular viewpoints and splendid attractions. On this day of your Tanjore Mararikulam Tour, you enter the mesmerizing territory of Kerala. 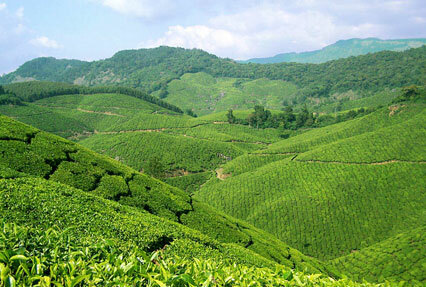 Set your foot in Munnar, probably the most popular hill station of Kerala. This lovely place has a lot to boost of such as beautiful lush scenery, refreshing surroundings, amazing weather, cool breeze, various wonderful tourist attractions, verdant tea and coffee estates, and so on. Arrival in Munnar and completion of check-in formalities. You can now explore the place on-foot, enjoy long pleasurable walks. Do not miss visiting the Christ Church. The tenth day of the tour is for city tour including the major attractions of Munnar- the extremely popular Eravikulam National Park, home to a decent population of Nilgiri Tahr (a mountain goat found in the region) and over 132 avifauna species. The national park is located at a distance of 15 km from Munnar. Today starting driving to the south of Malabar Coast moving towards Cochin, also known as Kochi. On reaching, check-into the hotel. After completing the check-in formalities, the day is at leisure. You can indulge in the activities of your interest such as visiting the famous markets of Cochin or savoring the famous food items of the region. An important city of Kerala, Cochin is an ideal mix of old-world and new-age charm. Today, after breakfast, embark on a sightseeing tour of Cochin including famous tourist attractions such as the Jewish Synagogue (oldest active synagogue in the Commonwealth of Nations), Dutch Palace (also known as Mattancherry Palace) and St. Francis Church (India’s oldest European Church). The next visit is to the aromatic spice markets where you can get your hands on some excellent-quality spices to carry them back home. Do not miss visiting the very popular Chinese fishing nets that are found only in Cochin in India. Thereafter, enjoy a harbor cruise to the nearby islands. 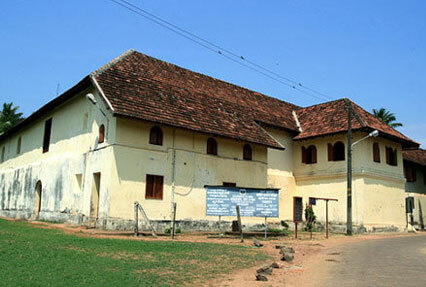 In the morning, hit the road to for Mararikulam, which is just few minutes’ drive away, towards south of Cochin. Once you reach, check-in at the hotel. Later on. Hop into a houseboat exploring the backwaters of Mararikulam. Treat your eyes to the lush views of the backwaters and spot colorful birds. 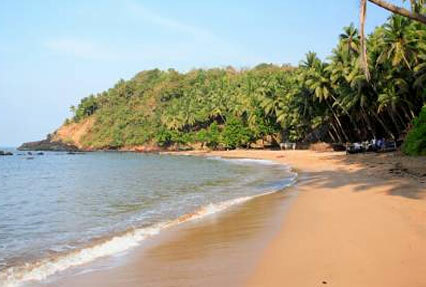 In the evening, visit the Mararikulam beach to indulge in activities of your interest. Spend a memorable and peaceful day here. Stay overnight at your hotel. Day 14 of your tour day is free for leisure activities. This lovely place lies amid a charming setting. Indulge in activities that you like. If you like adventure sports, you can partake in surfing, parasailing, wind surfing and so on. But, if you one of those who wish to relax, you can enjoy a leisure walk or visit the beach. On this day of the Tanjore Mararikulam Tour, you are going to just relax and rejuvenate. Feel close to the nature lying laid-back in its lap. Spend the day, the way you like. If you wish, you can visit the local attractions such as Mararikulam Shiva Temple, an old temple that dedicated to Lord Shiva. Today is the last of the tour. In the morning, complete the check-out formalities at your hotel in Mararikulam and get transferred to Cochin Airport/railway station to board a flight or a train for your onward destination.